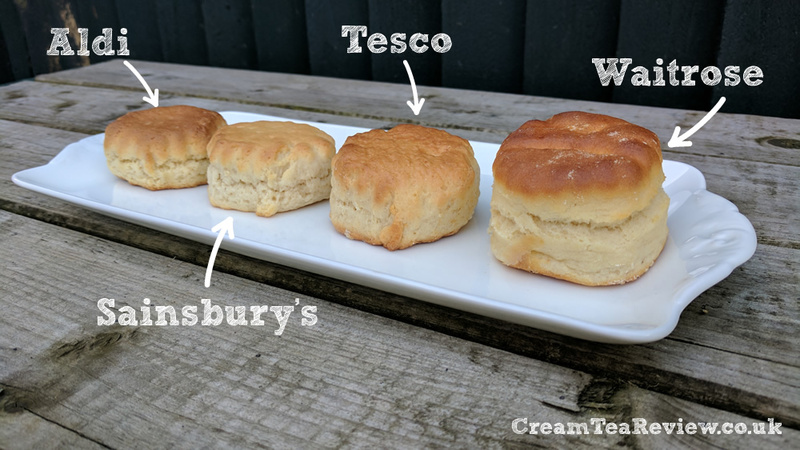 The plain scones here looked nice enough when we selected them at the counter, but once we cut them in half, sadly they were rather stodgy inside and had that appearance of having been frozen and defrosted. We’re not saying they were, but that they had the appearance at least. 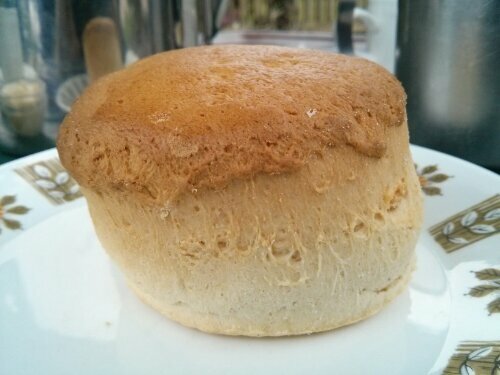 A sufficient dish of clotted cream. 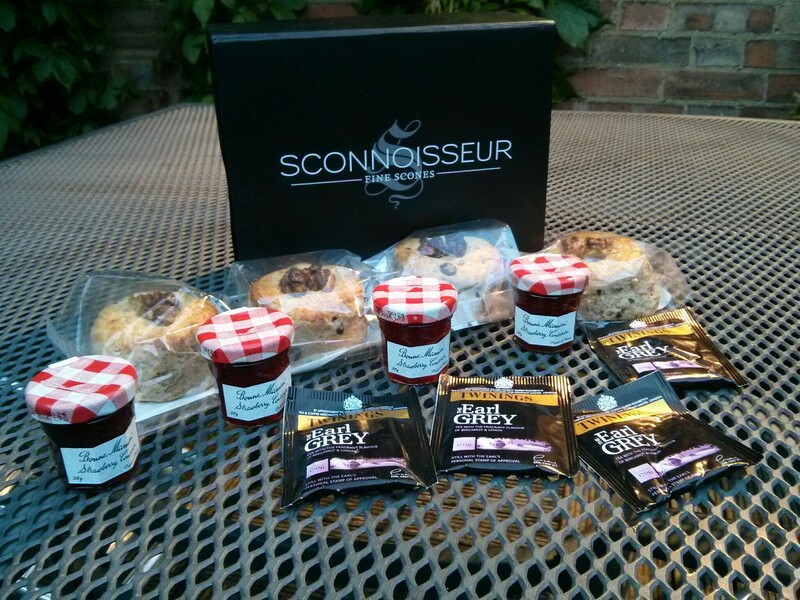 A sufficient dish of strawberry jam. 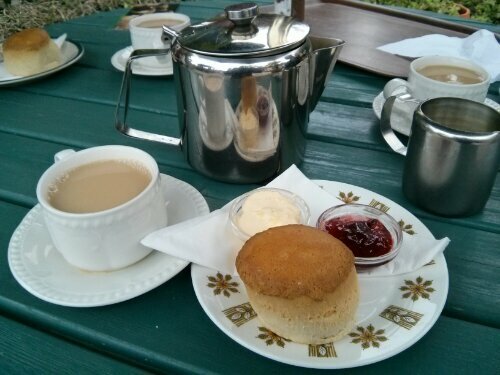 Sadly, no Lapsang. The Early Grey bags were fine. 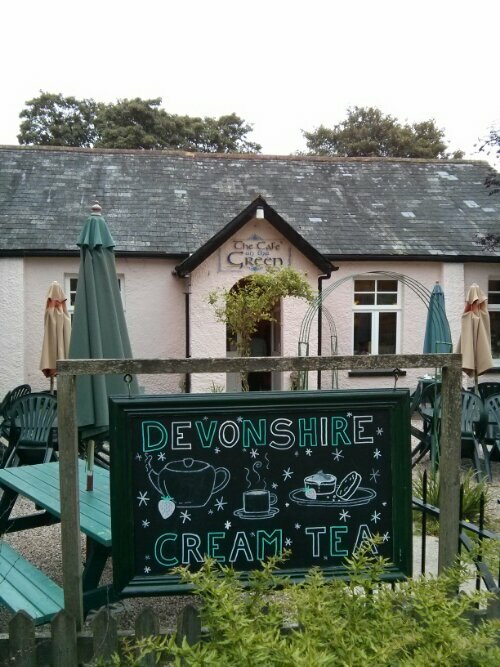 We made a special trip several miles across Dartmoor just to have a cream tea here, as it was somewhere we had fond memories of visiting many years ago. Clearly, we were disappointed. 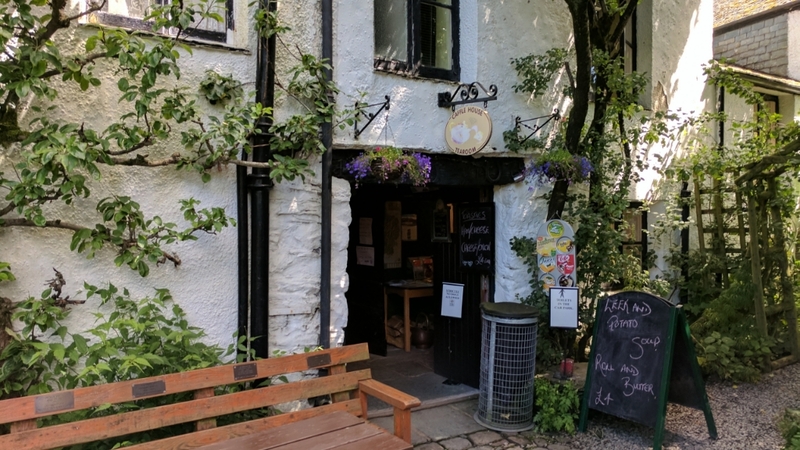 The Cafe is obviously geared up to accommodate the coach loads who visit this picturesque setting. 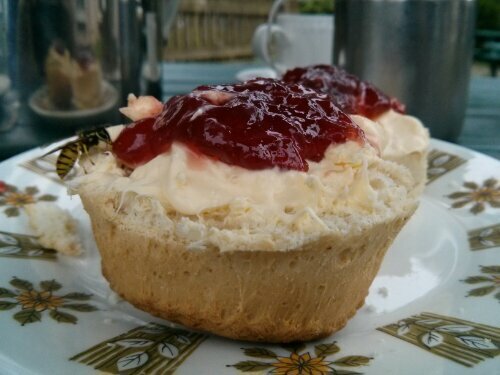 We did enter into the spirit of things and adopt the Devonshire ‘Jam on Top’ approach, but I’m afraid the wasp enjoyed our scones more than we did (see picture).